Passionate poems are collected in Exit of the Leviathan, an occasionally musical collection. 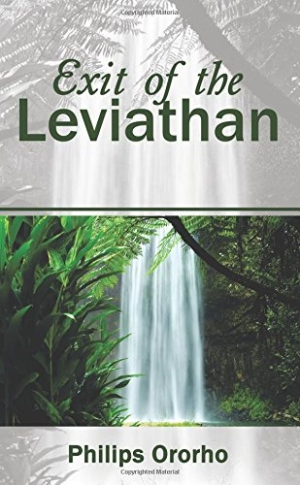 Philips Ororho’s lyrical but unpolished poetry collection Exit of the Leviathan focuses on faith and romance. Love poems, paeans to God, and lamentations of human failings like wickedness, foolishness, and disbelief make up much of the collection. The poetry also touches upon life in Africa, politics, and colonialism. The poems are earnest, sometimes reading like prayers and sometimes more like song lyrics than poetry, with random interjections of phrases like “yeah, yeah” or “oh!” Most are written in free verse and run two or three stanzas long—enough to capture their musings. The book’s love poems are often addressed to an unnamed “woman” or “babe,” and they repeat platitudes like “you are beautiful and sweet.” “You Are Mama Eve” assures of its subject that “the mirror that proves her beauty” and that “nothing can stop [the poet] from loving [her].” Language becomes repetitive and cloying. Inconsistent punctuation and misspellings are a point of distraction. The organization is haphazard; for example, a series of romantic poems are sandwiched between a poem about overcoming oppression and one entitled “Gathering of Evil Men.” Such abrupt shifts in subject and tone are jarring. Still, most poems are thematically gathered, and the work is easy to navigate. Because, we cannot get responses from heavens in our time. Standard declarations of affection and other tendencies become repetitious, and many poems seem overly similar to others in the collection. By the end, the collection feels more hodgepodge than curated, if its tone is consistent throughout.